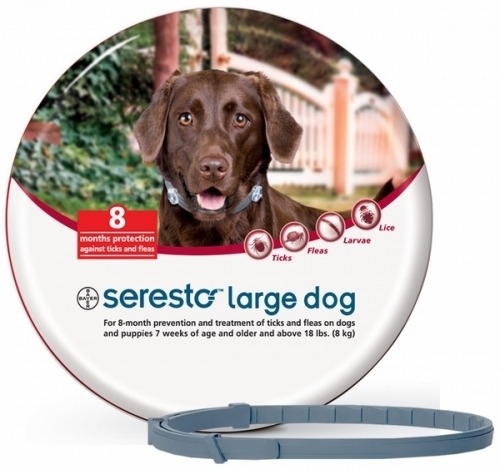 Inside the unique polymer matrix of Seresto™ are two active ingredients: Imidacloprid has been used in products recommended by veterinarians for years to control flea infestations. Flumethrin works to repel and kill ticks. 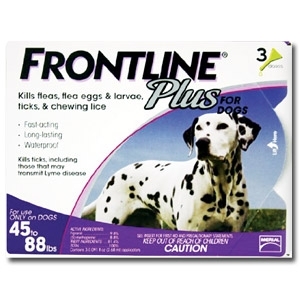 Flumethrin works together with Imidacloprid to provide dual action against fleas and ticks. No other treatment has this combination of ingredients. Lasts up to 8 months. 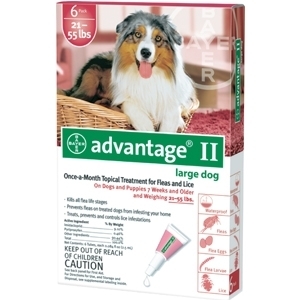 Advantage II for Small Dogs Up to 10 lbs. Model Number: Up to 10 lbs. 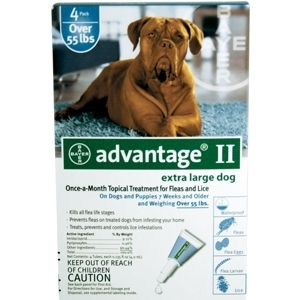 Advantage® II kills fleas at every stage of their lifecycle and prevents fleas on a treated dog from infesting the home. Kills fleas within 12 hours of initial application. Lasts up to one month. Model Number: Over 55 lbs. Advantage II for Large Cats Over 9 lbs. Model Number: Over 9 lbs. 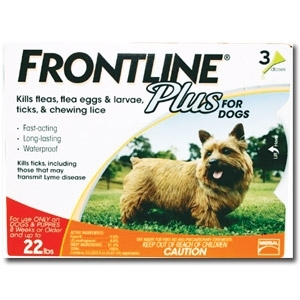 Kills fleas within 12 hours of application, killing all flea life stages including flea eggs and larvae to prevent reinfestation. Safe and easy to apply. Waterproof remains effective even if pet gets wet. 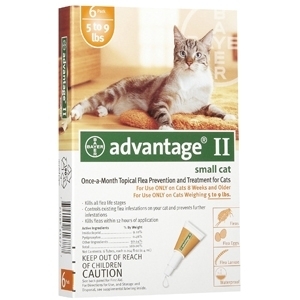 Advantage II for Small Cats 5 to 9 lbs. For Cats 5 to 9 lbs. A flea infestation can cause your cat discomfort and health concerns. 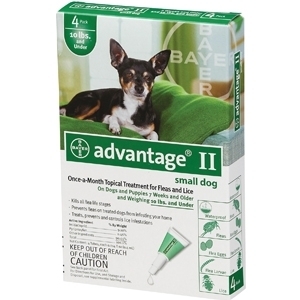 Advantage® II works through contact so fleas don’t have to bite to die. By killing fleas, it can help prevent discomforting flea bites. 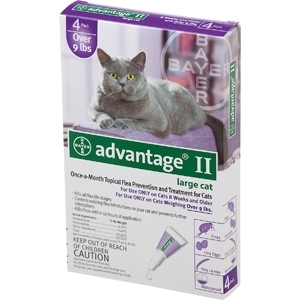 Advantage® II is gentle enough for use on kittens age 8 weeks and older. 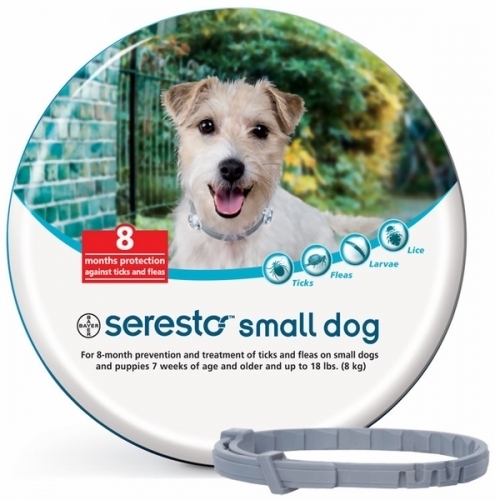 Protection against fleas and ticks for eight months. 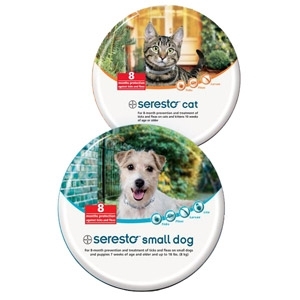 With its innovative delivery system, Seresto™ offers a breakthrough in flea and tick protection for dogs or cats for eight months. 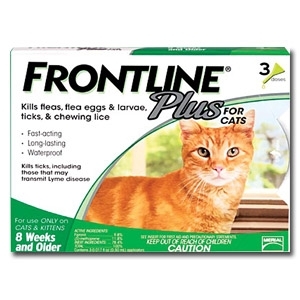 For kittens and cats 8 weeks and older. 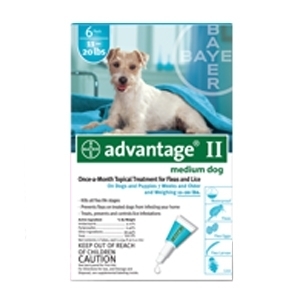 #1 veterinarian-recommended flea and tick product. Take good care of your pets. Help keep them healthy and happy by providing preventative care starting with flea and tick control. 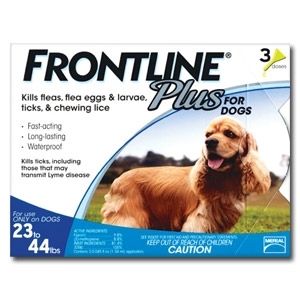 Frontline Plus® is the #1 choice of veterinarians when it comes to combating both fleas and ticks. 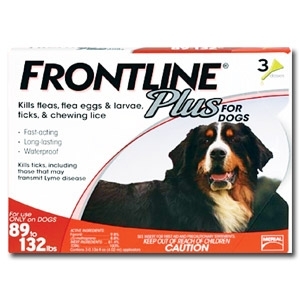 Frontline® Plus is an easy-to-use treatment that is proven effective.